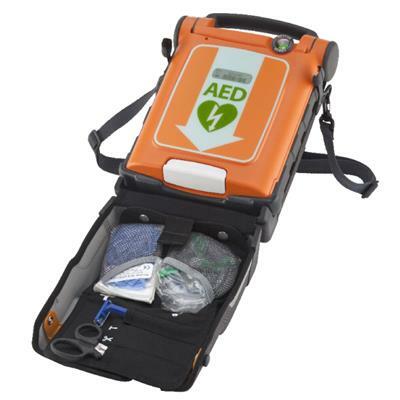 This defibrillator semi-rigid carry case with adjustable shoulder strap provides additional protection for your Powerheart G5, and makes it easy for a rescuer in a hurry to retrieve and transport the unit. The front pouch stores a Ready Kit and a back pocket provides space for extra pads. The design ensures that the Rescue Ready® indicator and the pads' expiration date are clearly visible at all times.